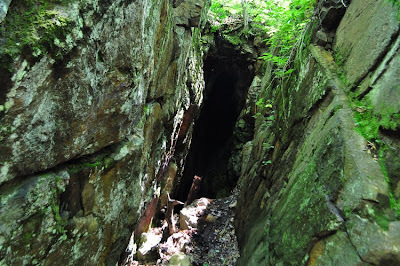 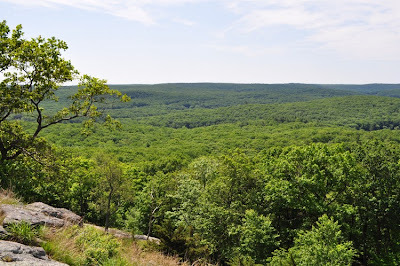 Limekiln Mountain is one of my favorite short hikes. 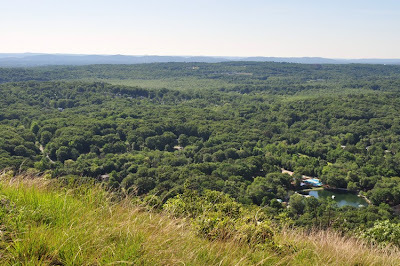 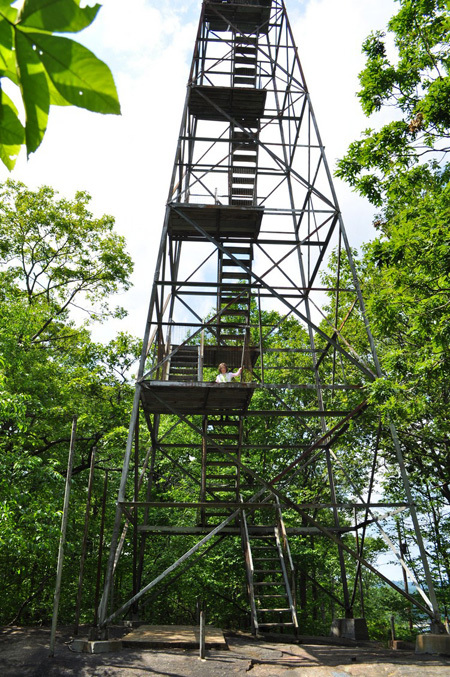 Its close, relatively short, has a solid climb, and affords and excellent view at the top. 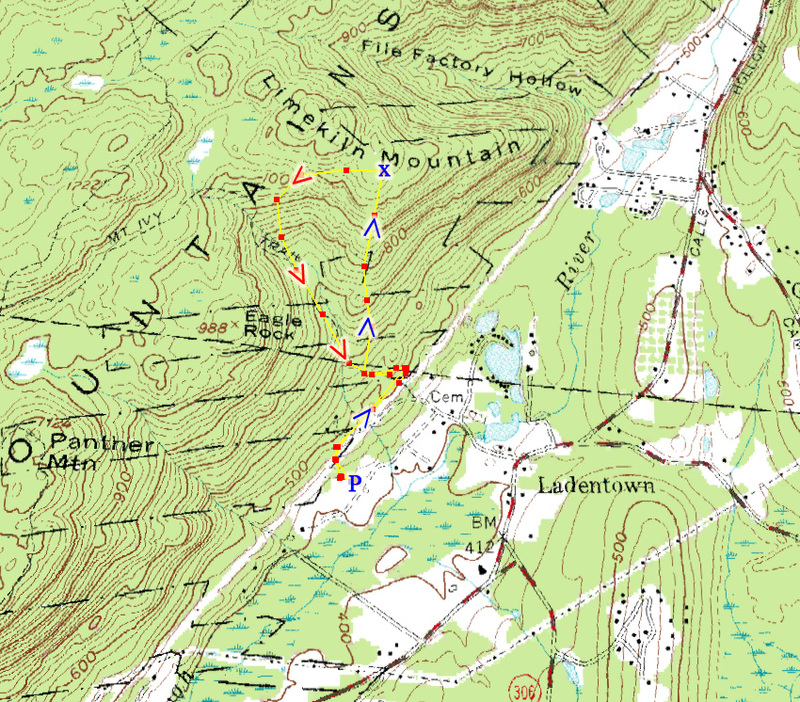 There are no official trails to the top, but a well-blazed unofficial trail which is very easy to follow. 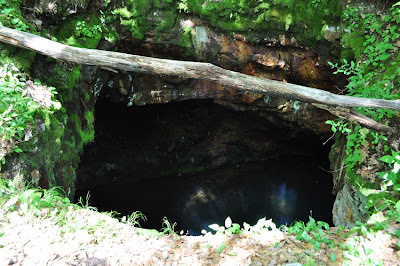 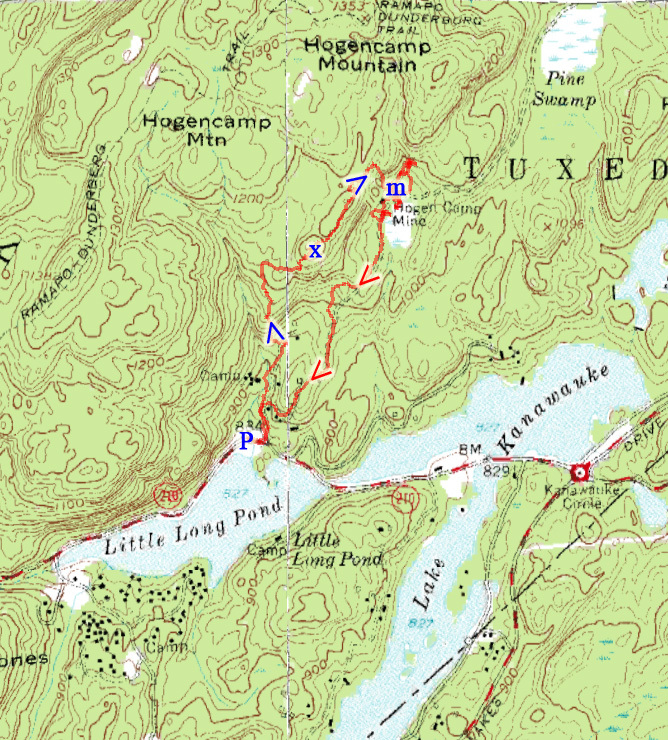 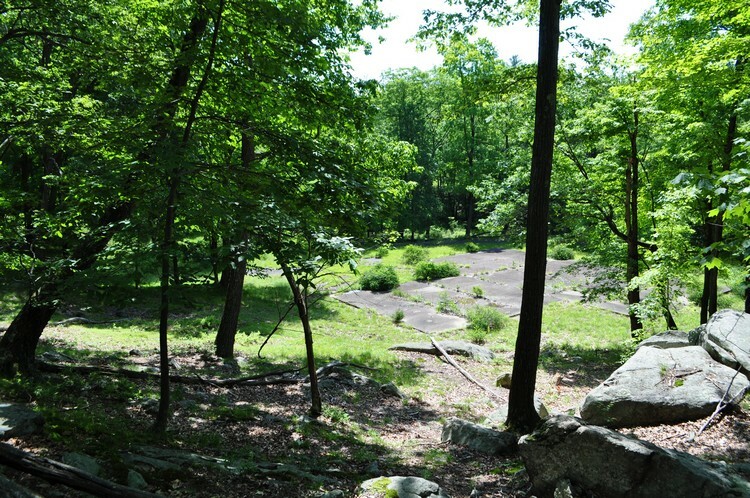 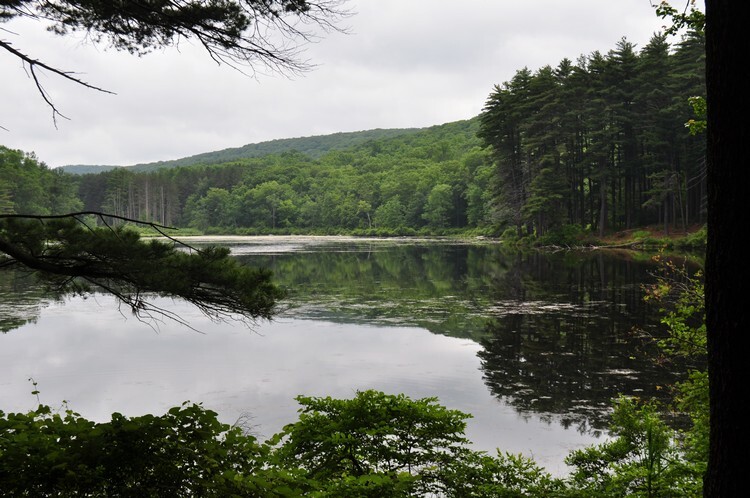 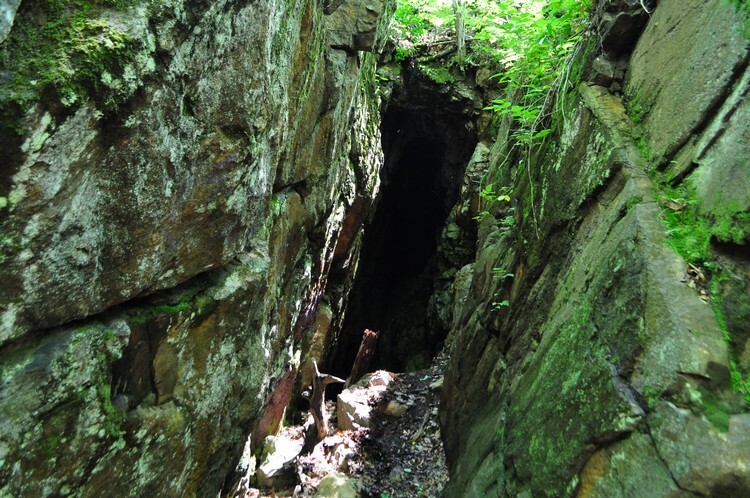 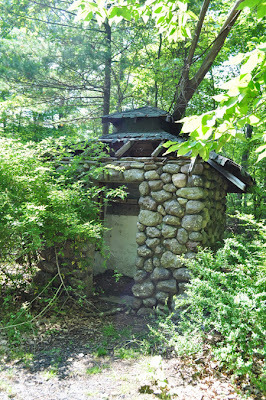 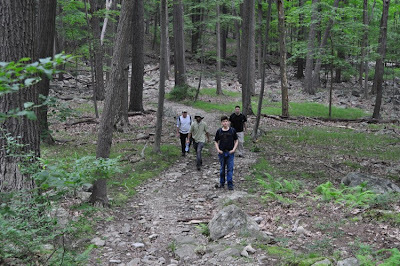 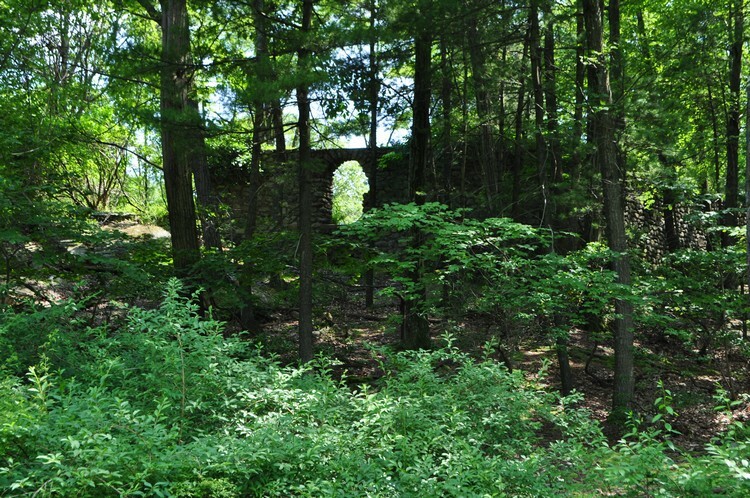 We started at the Tuxedo-Mount Ivy Trailhead on Diltzes Road in Pomona, right off Route 202. 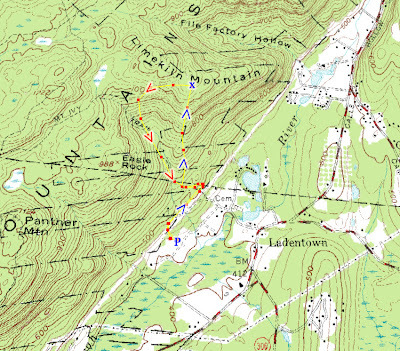 We took the beginning of the trailhead below the power lines, and then just as the TMI Trail leaves the power lines and into the woods, that's where the unmarked Limekiln Mountain Trail begins on the right side, climbing the hill on the right and then continuously up the mountain. 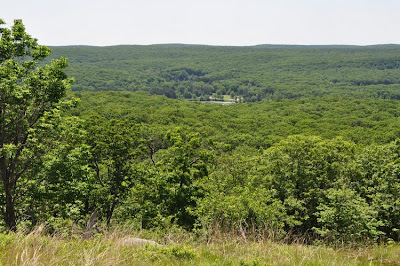 Once it hits the top there is an expansive view east and south. 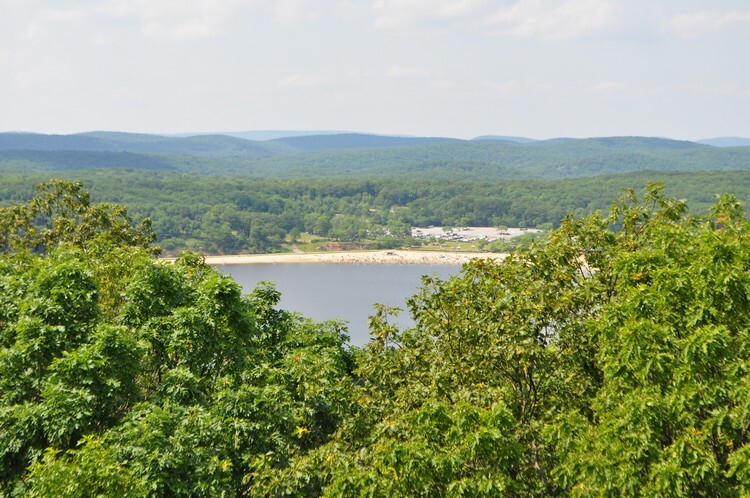 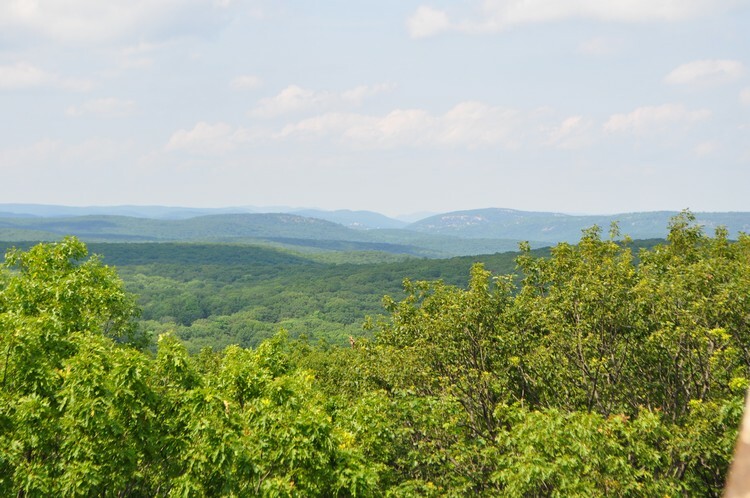 You can see the Hudson River at Haverstraw, High Tor and South Mountain, much of Rockland County, and the Manhattan skyline in the distance. From the top instead of taking the same trail down, we did a bushwack along the south ridgeline and then headed down into the valley to the TMI Trail down by the brook, and then took the trail back to the trailhead. 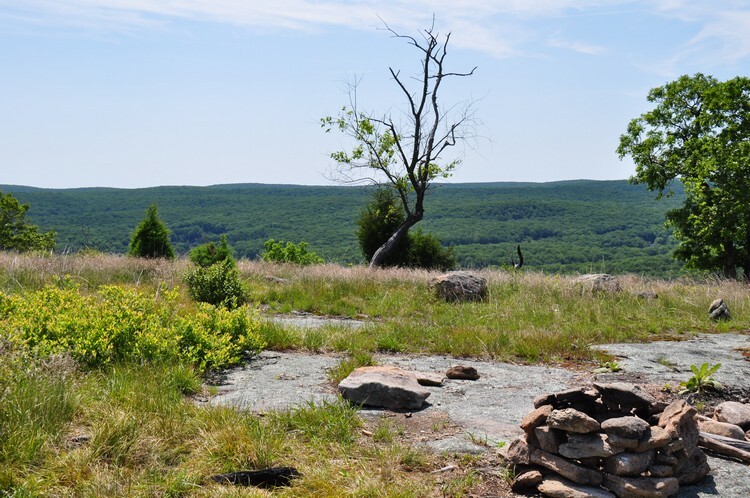 View from the Viewpoint Facing Southeast. Facing the Hudson river and High Tor. 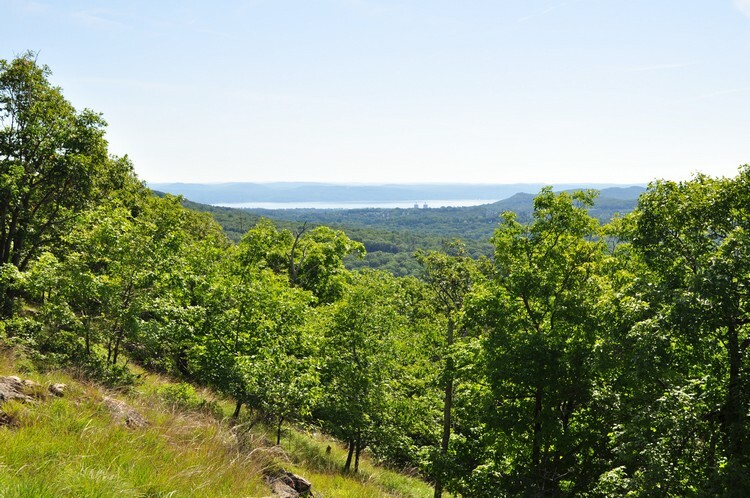 View along the Ridgeline Before Heading Down Into the Valley. 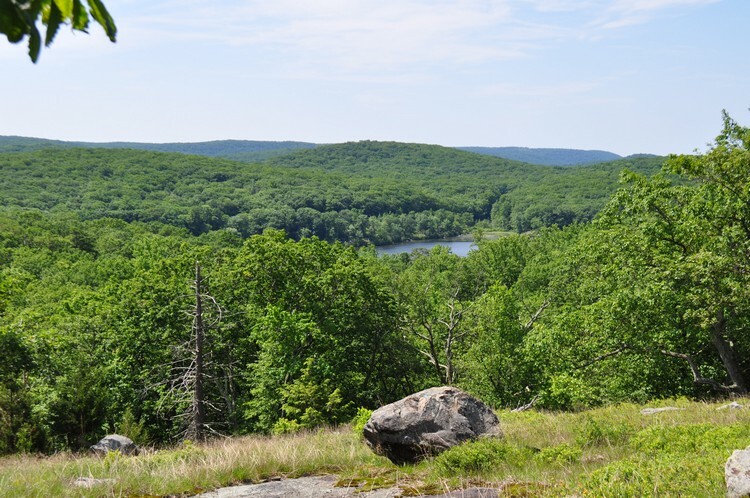 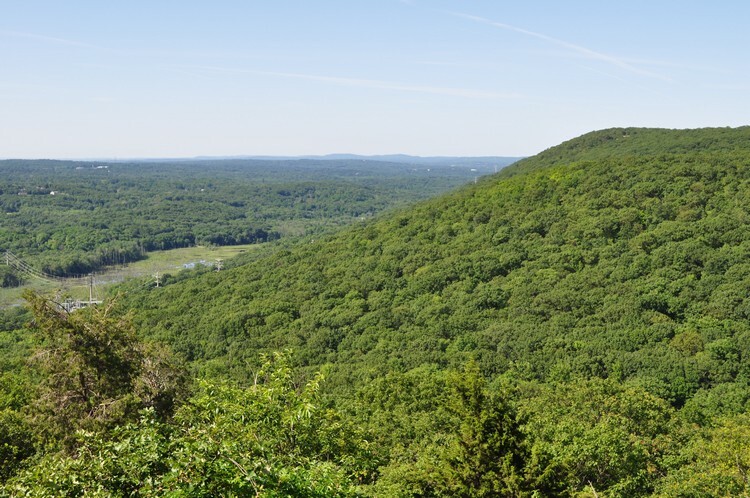 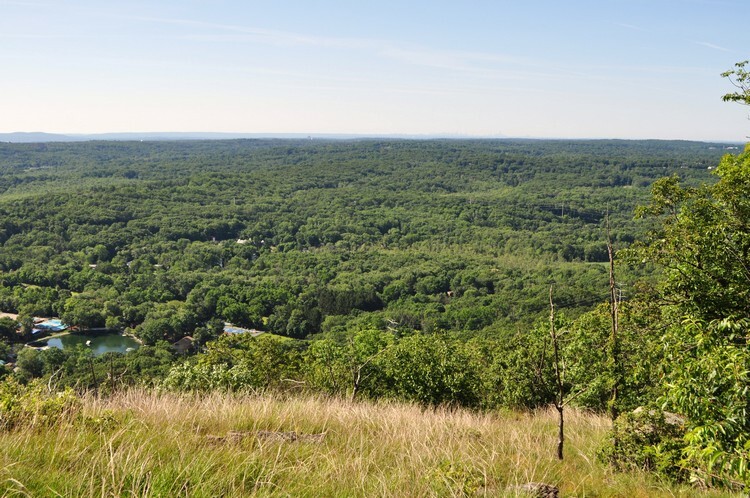 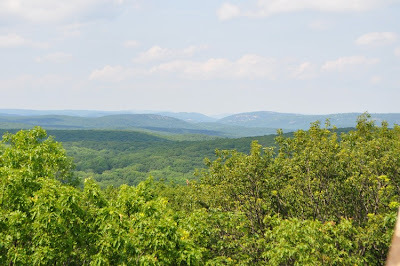 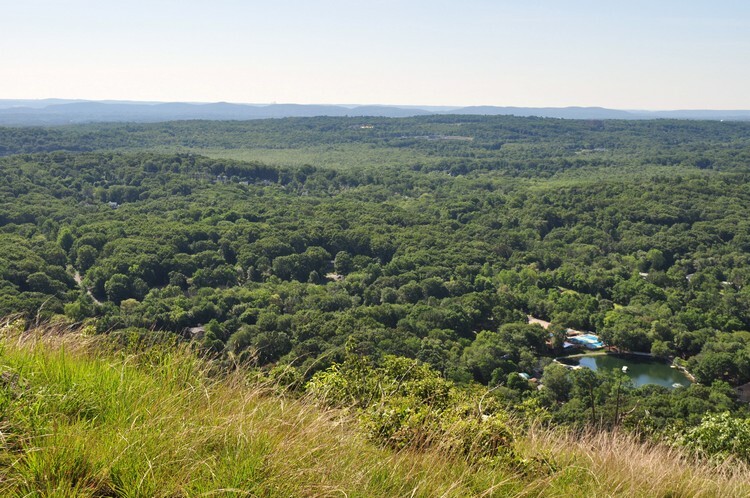 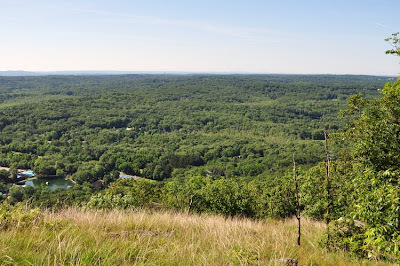 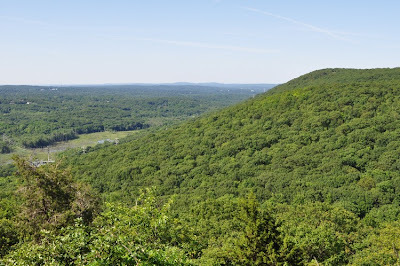 Facing South Toward Panther Mountain and the Mahwah River Swamp. 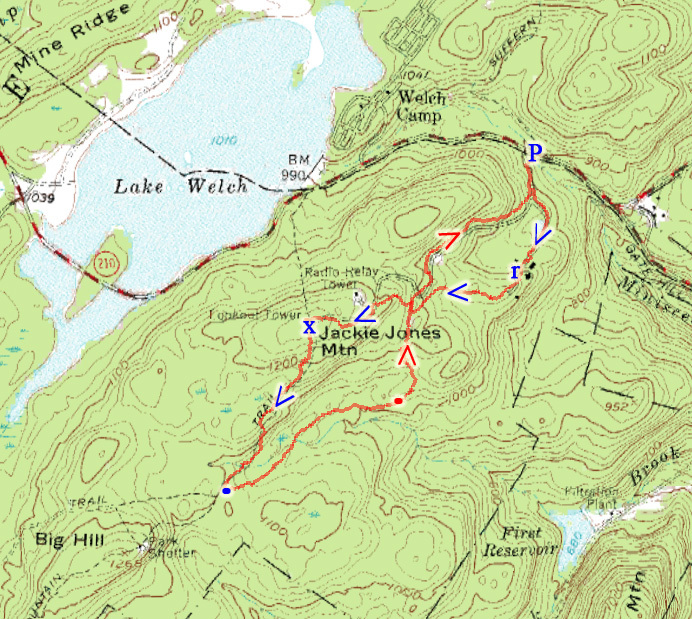 This hike goes up and around Jackie Jones Mountain. 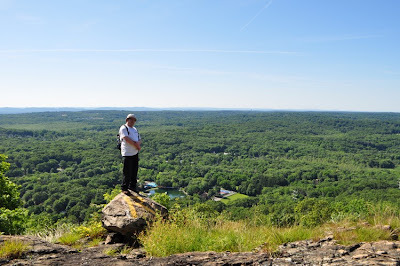 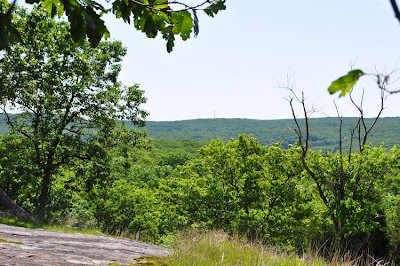 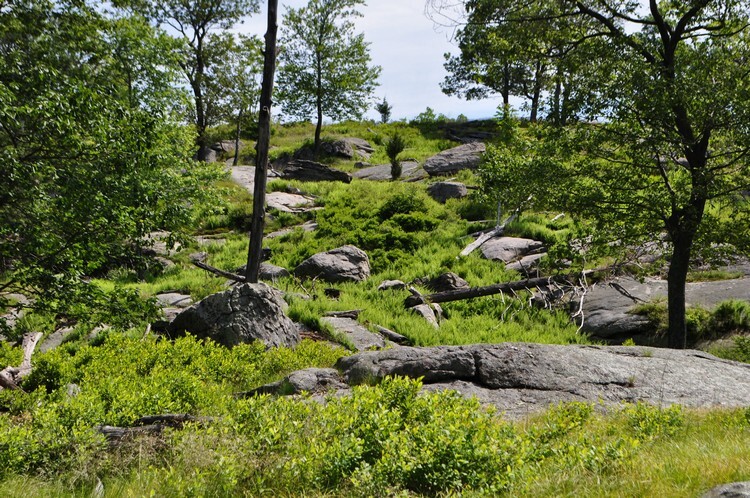 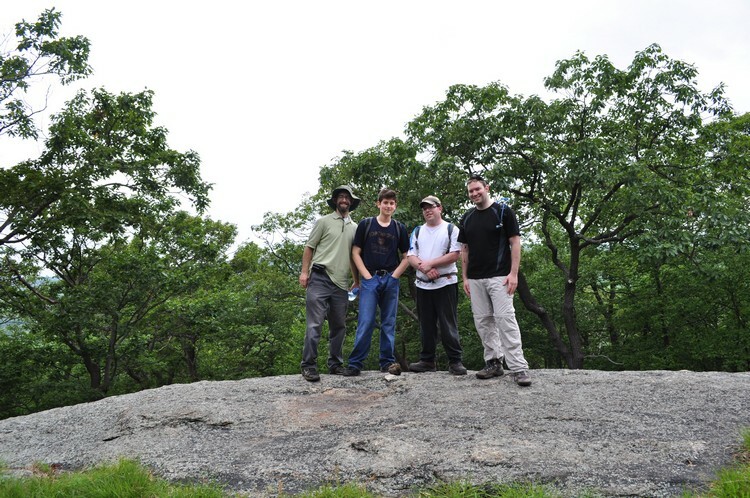 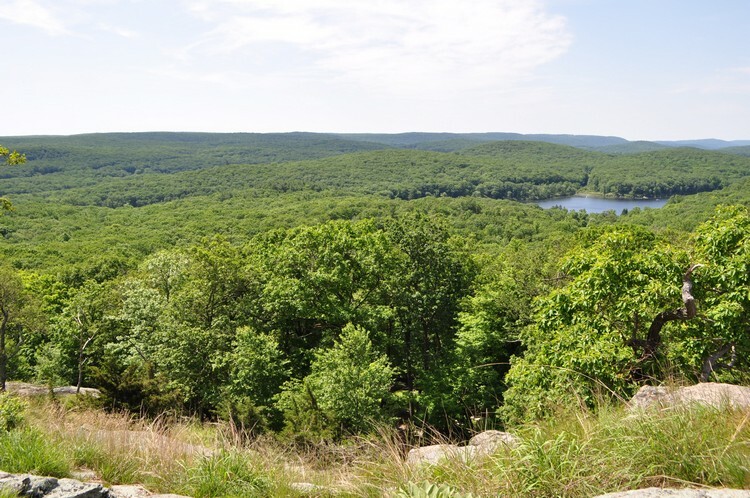 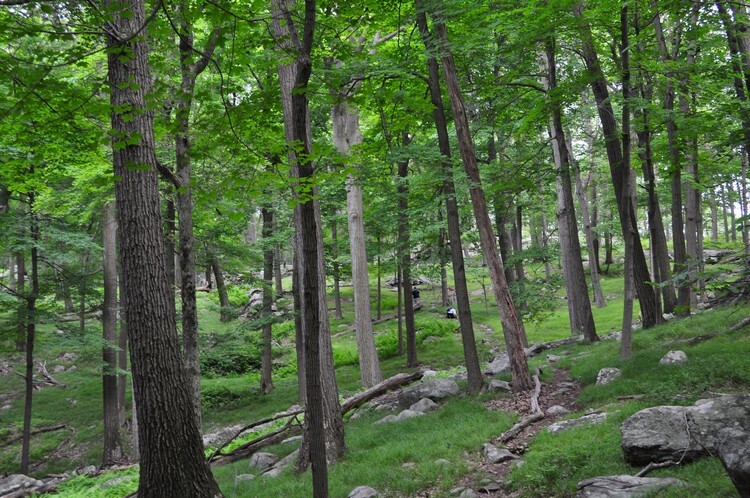 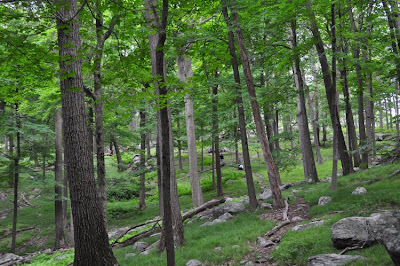 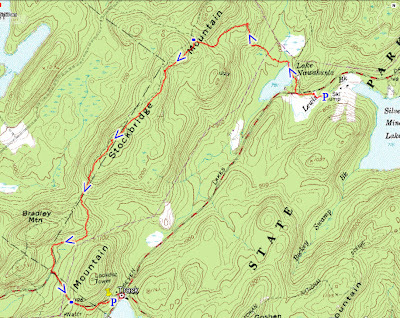 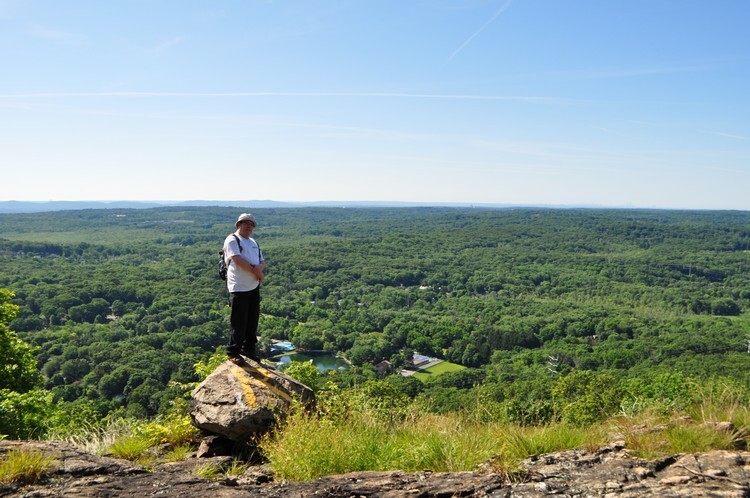 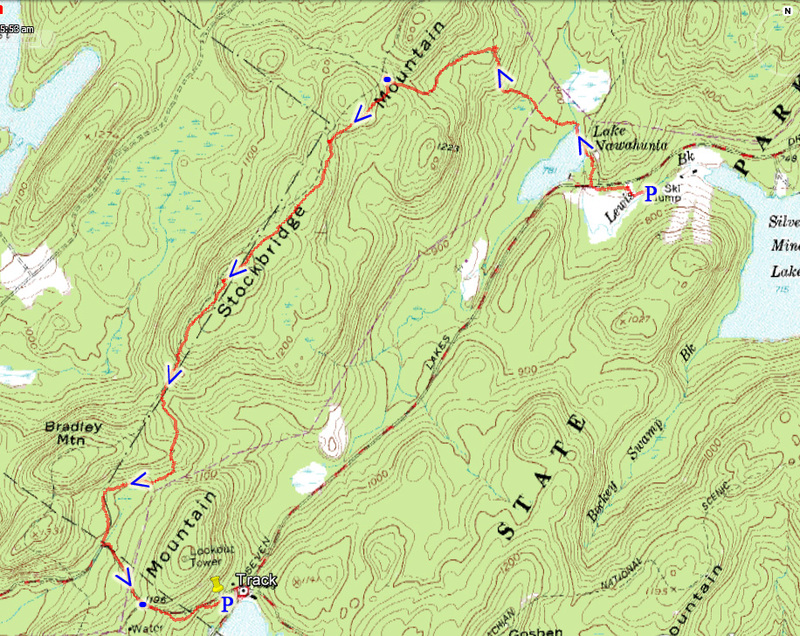 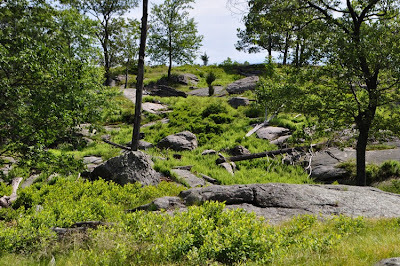 I started on the Suffern-Bear Mountain Trail, on the route up to the fire tower. We passed the ORAK ruin, which was the old estate of the owner of Karo Syrup. From there continued along past the excessively tall Jackie Jones communications tower to the fire tower. I keep on finding the tower to be more and more rickety, with some of the wooden footboards totally loose. It is a real safety hazard if you are not careful, and I think it is only a short manner of time before they close it off entirely or demolish it. I climbed up to get the amazing view it affords, and Lake Welch which is pretty close nearby was buzzing with swimming activity being a nice and warm Sunday afternoon right before the summer. 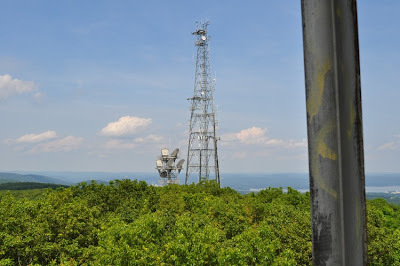 Continued along past the tower on the Suffern-Bear Mountain trail, and then down the mountain to the intersection of the old Jeep Road, which we took east and then took a different unmarked yet maintained old woods road back to the Suffern-Bear Mountain trail, intersecting it, and then continuing down the paved road the goes to the communications tower. 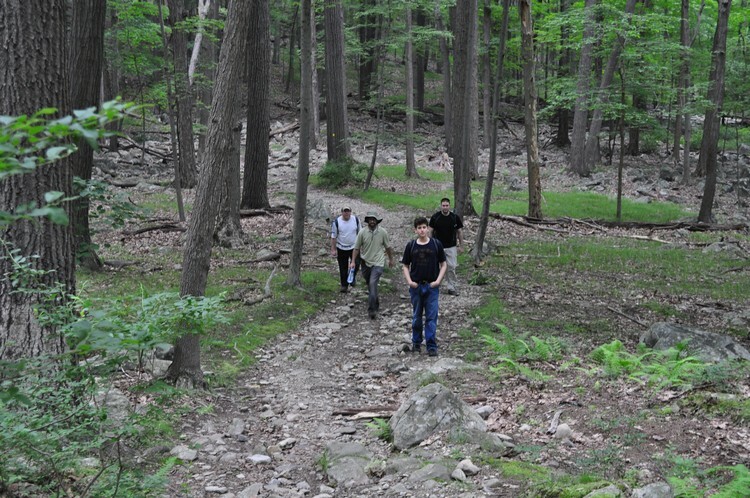 We took this road back down instead of the path because the hour was getting late.